Miss Alice Mae™ 'TH-921' Blueberries @ Fall Creek Nursery | Plants. Varieties. Farming. Miss Alice Mae™ ‘TH-921’ blueberries are a new release from the University of Georgia. It ripens early mid-season (with Star in California) and flowers later than Star. A workhorse variety, the Miss Alice Mae blueberry is known for high yields and ease of growing which are the main advantages of this variety. 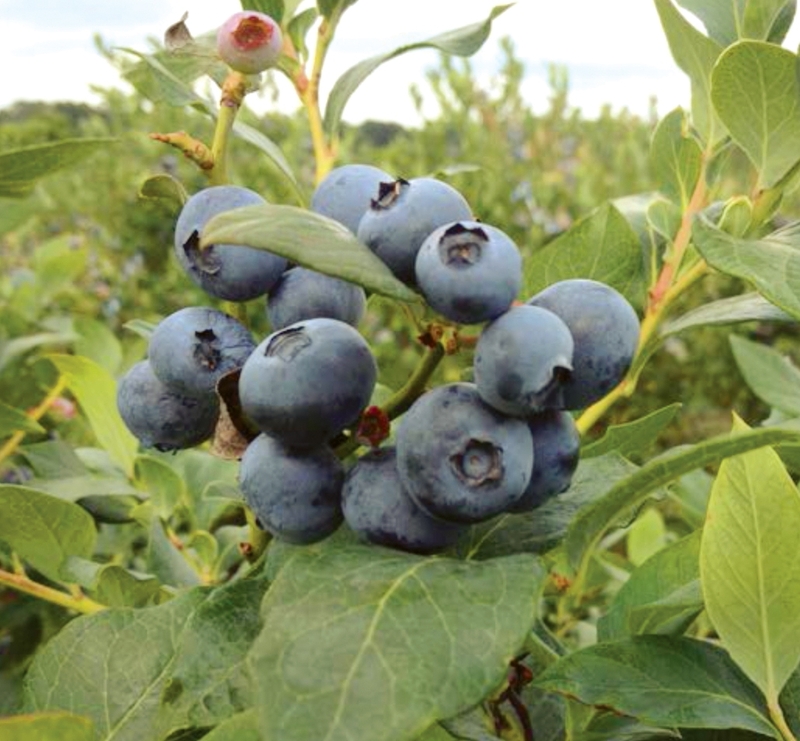 The fruit is a lighter blue than Star, but overall the fruit quality of Miss Alice Mae blueberies is average. Miss Alice Mae shows a lot of promise for the early part of mid-season. In our trials, the fruit is very firm and light blue with good flavor. We recommend trialing this variety in your fields.